When making an important decision in your life, it is always advisable to discuss it with your family and close friends. But keep in mind that what happens during these discussions, as well as most articles you find on the internet, are simply opinions. Debating is good, but you should always take into account that some of the arguments may not be completely true. Nowhere is this as true as in the information that is shared about studying abroad, because when considering the magnitude of countries, institutions and available courses, it is intuited that the number of dissimilar experiences is vast, and that what experiences a person is rarely what another experiences. Fact: Studying abroad can be cheap and affordable. 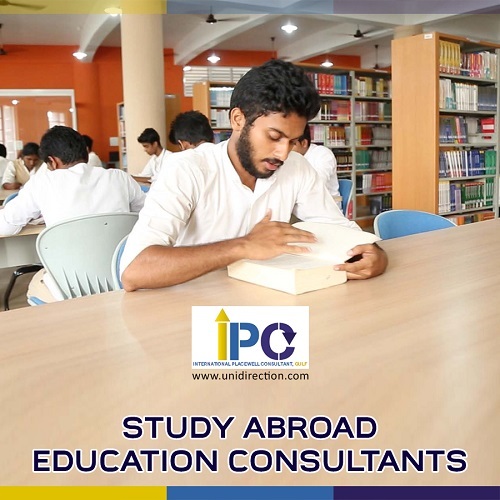 The cost of study abroad can vary considerably, depending on the duration and type of the course, the location, and the institution – whether it is a university, a school, a small institution or some other type of organization. Some may be considered as “expensive”, but of the variety of courses available, these only constitute a fraction. Fact: Studying abroad can be fun, but the main focus must always be education. Although there are plenty of opportunities to have fun and party while you are in another country, if you are studying you should try to maximize the benefit of this experience by focusing on your academic obligations. Learning and developing valuable skills are key elements of an international education, which is an opportunity that not everyone has and that offers opportunities that an education in your country of origin very probably cannot offer. Fact: Every student in each area can benefit from an international education. It would be naive to believe that by staying in the same place you will get an education as valuable as you can get anywhere else. Simply by virtue of the change you will learn more, regardless of the course and the quality of education that your country can provide. Fact: Regardless of age, the experience of studying in another country is invaluable. The scenario in which young students assume that studying abroad is something that only older students can access is recurrent; while older students believe that only the youngest students have the time to do so. The truth is that although teenage students tend to study abroad more often, there are always alternatives to take international courses at any age. Learning is a mission of life without a doubt. Myth # 5: Students always prefer Europe as a destination. Fact: You can study virtually in any country in the world. Although Europe remains one of the most popular destinations, especially the United Kingdom, France, Germany, Italy, Spain and Portugal, along with North America and study in Australia, students are attracted to all kinds of countries that you might not consider. China, Singapore, Argentina, Costa Rica, Nigeria … Each continent (except perhaps Antarctica) is available for study and has grown in popularity as students realize that a good education can be obtained almost anywhere. This is especially true in countries with emerging economies such as India, Ethiopia, Turkey, Tanzania and Vietnam.